John Zadro has been performing on a professional level for over thirty five years. 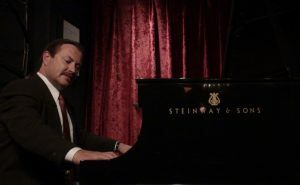 He is known as an accomplished pianist in the jazz idiom but in any performance he may draw upon his diverse background in other musical genres including R&B, sacred and gospel, pop and rock and musical theatre. He will be playing with Dan Brennan (bass) and Andy McPherson (percussion).